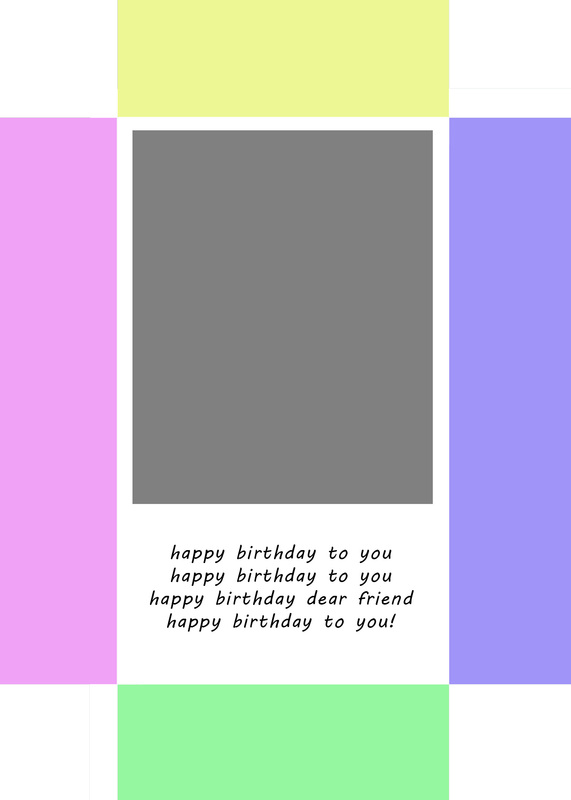 My newest product at http://www.esunrisedesigns.com is a collection of 20 templates for greeting cards. They are for many occasions and easy to use. In any version of Photoshop you will drag one of your photos over the design template – click Layer – Create Clipping Mask and your photo will pop into the gray area. There are a variety of shapes the photo will pop into – circle, oval, rectangle, heart, star, etc……… even one designed for putting your dog’s photo with paw prints around the border. This sells for $10 and you can use each one over and over with the same photo or different photos. The downloadable file comes with complete instructions. More details at www.esunrisedesigns.com with a full listing of the cards. Here is an example of a template (and with photo) – you can change all the colors.. and the text to anything you want on all the designs! 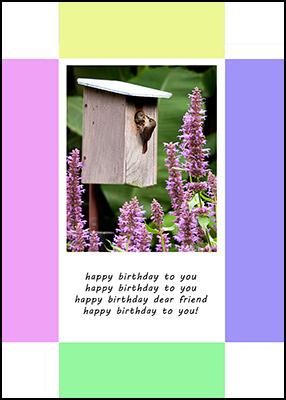 This entry was posted in Greeting Card, Product Review and tagged design, greeting cards, Photoshop, product, purchase. Bookmark the permalink.